World’s Largest Street Mural: At the end of the march on Sep 8, be sure to check out the record-breaking street mural at Civic Center. Their goal is to complete 50 mural sections, each 50×50 ft. Learn more. We will be gathering at the foot of Market Street in San Francisco, near Embarcadero Plaza. We will be encouraging people to march and organize not just as individuals – but along themes based on the diversity of our communities, concerns, and issues. Contingents are self-organized and growing in numbers. 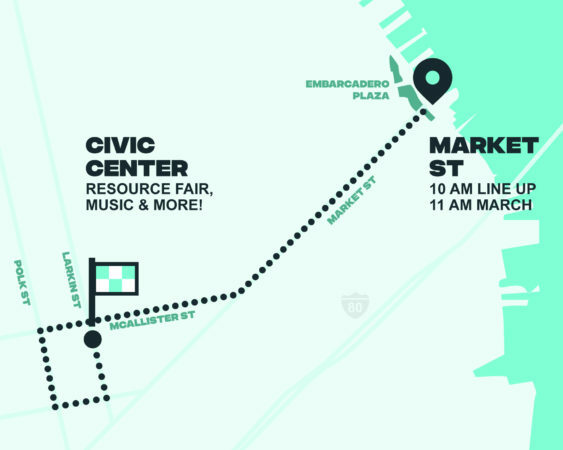 11:05 AM-12:00 PM – March down Market St. 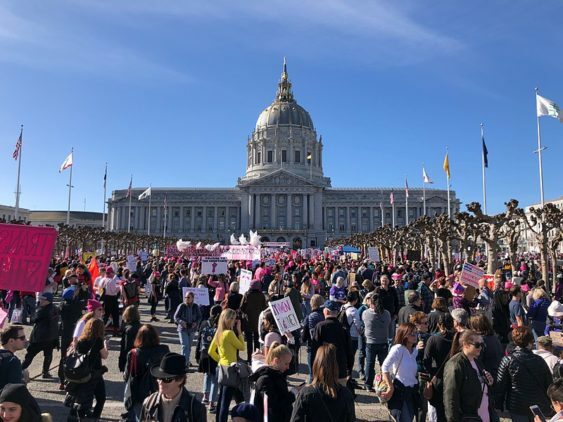 The route will go from the Embarcadero Plaza area, up Market St, to Civic Center. It is largely flat, about 1.7 miles, and should take the average marcher about 1.5 – 2 hours to complete. We will have a support vehicle at the tail of the march if anyone needs a ride or a break.